Sony recently made the availability of its new Xperia smartphone named Sony Xperia Sola in Hong Kong.The new Sony Xperia Sola is already available in Hong Kong for a price tag of 2,998 HKD (around €290 or $390).The European lauch of Sony Xperia Sola is sheduled to start by next month. One of the main feature of new New Xperia Sola is that it features floating touch navigation technology which enables web browsing without touch its screen.Xperia Sola runs on Android 2.3 Gingerbread OS but can later be upgraded to Android 4.0 Ice Cream Sandwich OS. Sony Xperia Sola Smartphone comes equipped with a 3.7 inch FWVGA touchscreen display and is powered with dual-core 1GHz processor with Mali-400 MP GPU along with 512MB RAM and only 8MP Internal storage. 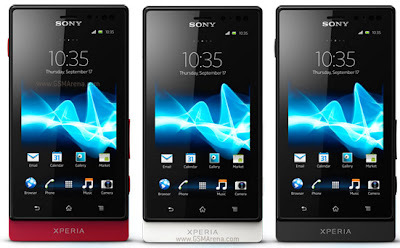 Other Sony Xperia Sola Smartphone Features includes 5MP rear-facing camera with 720p video recording, Wi-Fi, NFC, HSPA support and MicroSD card slot. Tags:- Sony Xperia Sola Smartphone Europe launch, Sony Xperia Sola Smartphone Europe price tag, Sony Xperia Sola Smartphone price, Sony Xperia Sola Smartphone specs, Sony Xperia Sola Smartphone details, Sony Xperia Sola Smartphone images, Sony Xperia Sola Smartphone launch details, Sony Xperia Sola Smartphone availability, price of Sony Xperia Sola Smartphone.